Tanya Howley was born and raised in North Sydney, where she has decided to raise her family and operate her pharmacy. Tanya took over the store in 2006 and her first step was to put together a team of like-minded, patient-focused individuals. Tanya is quick to adopt new program if she can see a need in the patients she serves. For example, Tanya has supported providing access to Methadone treatment therapy. This is medication used to help patients with opioid dependency and the program is important as most communities have a waiting list for addiction treatment. The Bloom Program, a pilot program for patients struggling with mental illness, is one that Tanya also feels strongly about. She has seen patients in her practice who have struggled with mental illness and how they can fall through the cracks. “These programs take a dedicated team to deliver, but are the right thing for the community,” says Tanya. Tanya is quick to point out that the success of her pharmacy is because of her team. George Hatcher had a 25-year career as a Director of Pharmacy at the Northside General Hospital before joining Tanya’s team as a full-time pharmacist. He had filled in a number of times over a few years and had enjoyed the patient interactions. When a position became available, he jumped at the opportunity. George says the opportunities he had working in the hospital primed him for embracing the changes in the practice of community pharmacy. George spends at least a couple of days a week working with his patients who are enrolled in the Bloom program, working to foster their mental health. He is also heavily involved with the methadone program. He points out the importance of respectfully working with patients who otherwise could be marginalized. He says, he is able to do the work he cares so much about because of Tanya. 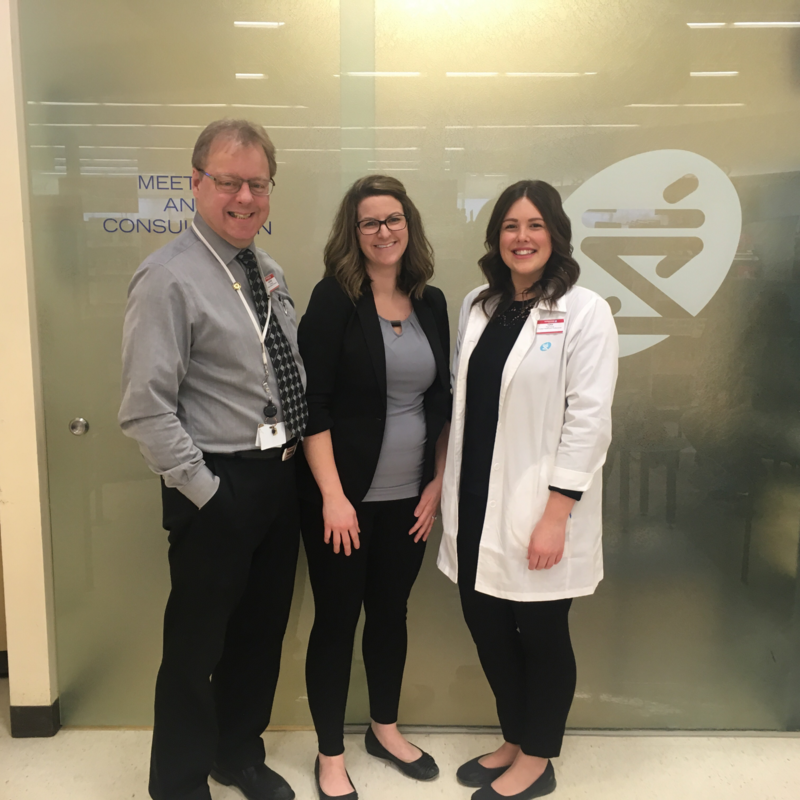 Another member of the pharmacy team is pharmacist and Certified Diabetes Educator Tera Faulkner. Tera says she loves helping patients and hearing their success stories. “I have one patient who told me that she is now in the single digits in the morning and she hasn’t been that for years,” says Tera about a patient’s blood sugar readings. She says there a lot of people who don’t know where to go for help. Tera has another patient whose sugar readings were very high. Diet was a big problem for her. By making the lifestyle choice to eliminate pop from her diet, she started to feel much better. Tera says she is really lucky to have great physicians, nurse practitioners, and a team at the diabetes education centre to work with. “Physicians are really supportive when I call in with recommendations,” says Tera. However, many patients who come into the pharmacy do not have family physicians and Tera finds herself having to refer them to emergency rooms and walk in clinics for refills. One way they are trying to help their patients at the pharmacy is to complete comprehensive histories of their patients and provide written recommendations to patients so they can bring them to walk in clinics or the emergency rooms. Tanya says there is a need for the services her team is providing and would like to see more of them covered by Pharmacare.